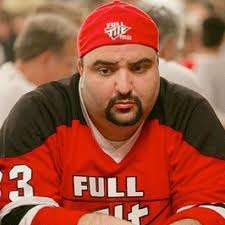 Former Full Tilt Poker CEO Ray Bitar, facing nine felony charges and suffering from Class IV heart failure, pleaded guilty in federal court today to violating the Unlawful Internet Gambling Enforcement Act and to wire fraud. As part of his plea arrangement with the U.S. Attorney’s Office, Bitar agreed to forfeit $40 million in assets. He could have spent up to 35 years in federal prison on the charges but was instead sentenced merely to time already served. The 41-year-old Bitar, clean-shaven and somewhat gaunt, appeared from California via live video link flanked by his brother Richie, his sister Raymonda, his mother and a few childhood friends. He acknowledged to the Hon. Loretta Preska his culpability in skirting U.S. gambling laws between 2006 and 2011. 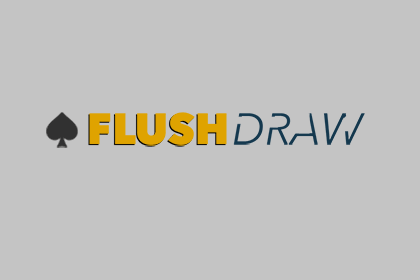 He stated that his actions were designed to allow Full Tilt to disguise payment processing transactions in order to serve the lucrative U.S. online poker market and that he directed company employees to tell players that their funds were segregated, safe and secure despite such statements being false. Bitar also expressed remorse for executive decisions that led to a $330 million shortfall in player deposits which was discovered after the site’s regulator, the Alderney Gambling Control Commission, suspended Full Tilt’s license in June 2011. Last week Bitar’s lawyers appealed to Judge Preska not to order any jail time for Bitar. They revealed that Bitar is a Class IV heart transplant candidate, the most severe rating on the New York Heart Association’s classification of heart failure. They expressed concern that, due to the level of medical care required before and after transplant surgery, Bitar would be rejected as a transplant candidate if he faced any time in federal prison. Bitar’s doctors have estimated that Bitar has a 50% chance of dying within 6-12 months if he does not receive a transplant. Judge Preska took the severity of Bitar’s condition into consideration when she agreed not to jail him. Despite avoiding federal prison, Bitar did not get off lightly. He agreed to forfeit $40 million in assets, an amount that the USAO claimed represents almost all of the money he earned as an executive and owner of Full Tilt. The forfeited assets include bank accounts and Bitar’s primary home, a multi-million-dollar mansion in Glendora, California. They are also assets that could have been used to fund Bitar’s expensive ongoing medical care. Bitar’s guilty plea comes two years to the day since the DOJ unsealed indictments against 11 individuals as part of a crackdown against the three largest online poker sites in the world, a day known in poker circles as Black Friday. Seven other defendants have already pleaded guilty in the case, including former payment processor Chad Elie, who sued noted gaming attorney Jeff Ifrah for malpractice last week in connection with the events leading up to Black Friday. For all intents and purposes, Bitar’s sentencing brings the government’s case against online poker to an end. The remaining defendants – PokerStars founder Isai Scheinberg, PokerStars’ former Director of Payments Paul Tate, and UB co-founder Scott Tom – are unlikely ever to return to the U.S. to face the charges against them. Judge Preska had the final say on the Black Friday case. Department of Justice is that an oxymoron?